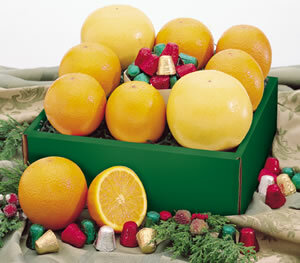 Make the holidays extra sweet with a delicious assortment of Chocolates and our famous Navel Oranges and Ruby Red Grapefruit from the famed Indian River. This gift is also sold with all Navels and Chocolates. Looking for Ruby Red Grapefruit Only? Click here.